First, a note on the upcoming piece, “Biology of Belief, Part 4 ~ Quantum Healing”. I want you to know that I haven’t dropped it. I just didn’t feel ready to wrap it up. Recently, I got information from a client’s Subconscious that may give it a little different slant. After the fall of mankind on Earth, humans have been working for over 26,000 years to regain knowledge of the wonderful beings that we all are. The forgetting was the fall. On the divine planes, the process of forgetting and eventual remembering was intended, so that Earthlings could experience the contrasts and integrate darkness with Light. They had to forget those higher dimensions from which they came, in order to experience anything but Light. Starting in a state of only knowing or caring about their own selves, the amnesiatic humans thought they were only the body. In that state, they weren’t inclined to divide into couples and families, but for safety, formed communal tribes, and to cut down on fights, there was a leader. Conscious of only themselves, all they did was follow the body’s basic urges. During that period of forgetting, humans were nudged up the pyramid of spiritual development, or evolution, of consciousness, gradually extending our consciousness and our love to all of creation. I say pyramid, because there were falls back down to lower levels of consciousness along the way. Climbing and falling, so that it’s not like a ladder, but a pyramid, rising to higher levels, with more time spent on the lower levels. Of course, their have been exceptional people who “got it” in even less than ten lifetimes. They are exceptions to the rule. In 3D, humanity took on all manner of dark roles. They gained experience and understanding of you/me, yours/mine, greed/lack, victimizer/victim, fear/bravery, war/peace, illness/wellness, success/failure and other dichotomies. They lived what seemed to be one shared timeline of past, present, and future, in one reality of existence that they were all stuck in. Throughout that time, “higher” beings came here to help humanity in their spiritual development, meaning helping them to raise their vibrations and increase harmony by being more loving and positive. Through this evolution, mankind could wake up from their amnesia. Until lately, attempts were not very fruitful. Many incarnating to help got caught up in karma and couldn’t escape. When we reached the ability and likelihood of blowing up the whole planet, Mother Earth put out a call for more advanced beings to come in volunteer assistance from other places. Even Source has sent new beings straight to Earth. Many old souls are here. They usually have some mission to help Mother Earth. Energies are being directed to Earth from the Sun and other galactic entities, the galactic Central Sun and the Great Central Sun of the Universe. It is time to wake up. And we are waking up. The volunteers are helping by consciously or unconsciously channeling Light and directing other energies, stabilizing physical Earth, building gateways and portals, serving as teachers and healers, working as Light force warriors, and likely other work that I don’t know about and might astound us. Humanity has made it this far on this particular shared universe four times and then failed. Cultures were wiped out, technologies forgotten. It was thought that Earth would have to split dimensionally around the end of 2012, with some “ascending” rather immediately to 5D and others remaining in 3D with all the catastrophes. Then, at the soul level all chose to go to 5D. Most catastrophes were lessened or avoided and there was no split. 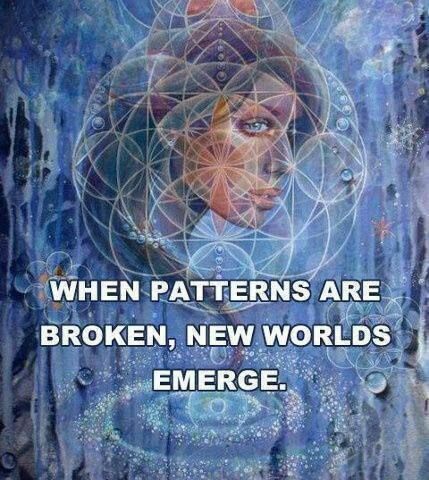 The process has been slowed to give everyone a chance to bring up their vibrations. In 5D, people are living 4D troubles and 5D happy lives. Hue-manity, that term used in Gaia Portal messages, what does it mean? A Hue-man has awakened to who he is. Past posts have mentioned differences between 3D/4D lives (human) and 5D lives (Hue-man). We’ll keep examining the changes, as we continue to experience more and more. We are experiencing the gestation and birthing process of a new species.